I have stopped at Changi Airport many times; in my opinion this is one of the world's better airports for lazing around, shopping or eating. However, this was the first time I was going to visit the city-state itself. We stayed at the Plaza Parkroyal Hotel on Beach Road which is close to Orchard Road, home to Singapore's best known shopping centers. Also close by are Bugis Village, a restored old-world shopping plaza and night market, and Boat Quay with it's many al-fresco dining options. 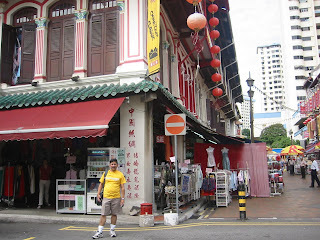 Our days in Singapore were very busy; in fact, we crammed more site-seeing trips in this time than we ought to have done. 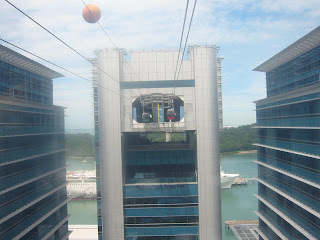 We saw the Jurong Bird Park - which the kids loved, the Night Safari -which I think is over-rated, Sentosa Island - always take the cable-car at least one way, the views are awesome, Underwater World at Sentosa, and a city tour which covered the spot where Sir William Raffles landed and 'founded' the city that later went on to become Singapore. The national symbol of Singapore is half lion and half mermaid, in other words the Mer-Lion. We shopped at Mustafa (Himesh Reshammiya here too; God save us!) which is the largest Desi shopping complex here and is said to sell everything from gold to watches, from cameras to stereos, from toys to jewelry. We went there after our cabbie informed us that Indians have to go there; it's sort of like a pilgrimage spot for Indians (even those who live in other countries!). In the mornings and after a long day we would unwind in the hotel's roof-top swimming pool surrounded by scy-scrapers, which made for a completely different and awesome sight. 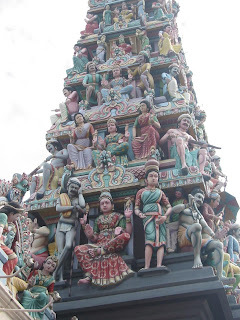 Here I have added a picture from our visit to Little China and one of an Indian temple in Little India. 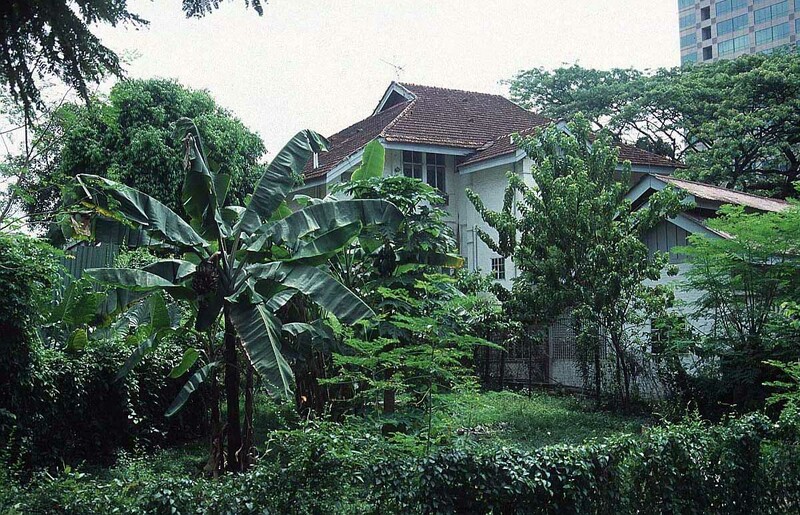 Most of the Singapoeans who have roots in India have originated from Tamil Nadu. Therefore, when anyone here says Indian, they usual mean South Indian (food, culture, gods, etc.). Food was excellent everywhere we ate. 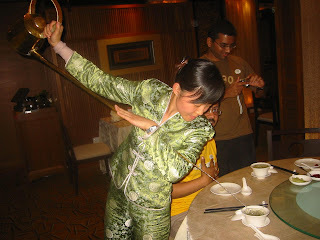 The picture is at a Chengdu speciality restaurant in the Parkroyal hotel that served excellent Chinese cuisine. Here the waitress is pouring us some Jasmine tea in a rather exciting manner, and one that requires considerable skills given that the teacup is small, and she didn't spill a drop! We flew into Kuala Lumpur Airport early in the morning. This was the first time we were travelling outside India with our 3-year old daughter, but she had company. Two of our friends were sharing this vacation with us along with their 4-year old son! This worked out rather well! The kids kept themselves busy with each other and let us adults get some quality time together. We already had visas and therefore immigration didn't take time. We only had to get some local currency (Ringgits) and we were ready to go. The drive to Genting Highlands was very impressive. We were surprised by the good quality of roads and the modern looking buildings that lined them as we drove through the city of Kuala Lumpur (or KL as the locals like to call it). But what really made the 60 min drive worthwhile was the greenery all around when we left the city to drive to Genting. Thick, lush green vegetation everywhere! As the road wound through the mountainside, we could see the faint outline of a building at the very top through the misty clouds that shrouded the tops. Imagine our excitement when we realized that was our hotel! Genting Hotel is a large hotel (like the other two hotels on the top of Genting Highlands) built to Las Vegas specifications! 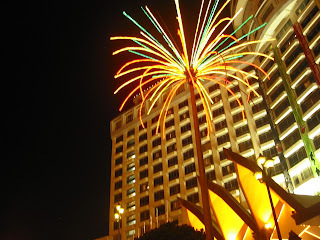 Its in-house casino, maze of basement level malls, and underground walkways to the nearby amusement parks takes time to discover. 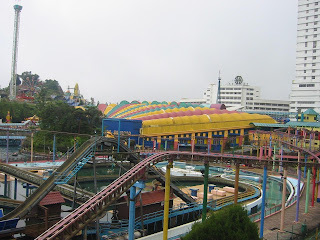 Genting Highlands has two amusement parks and one of them is completely indoors (roller-coaster rides and all!). There are multiple restaurants and fast-food eating choices within these hotels. 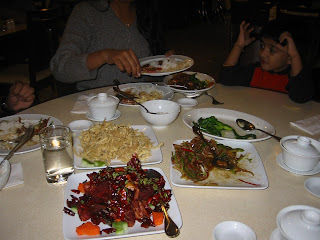 We loved Ming Ren, which is a lamb speciality restaurant. 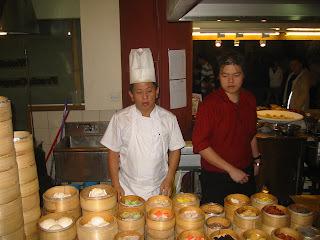 We also recommend the variety of fresh dimsums at the Marketplace in First World Hotel which houses the indoor Amusement Park. We had day-passes to both amusement parks and made full use of them. The kids loved the rides and kept repeating them, while we tasted all the delicious Chinese and Malay street food on display. And finally it was time to go! Everyone was exhausted from being on our feet the entire day, and we tried to nap on our drive to KL. Hotel Istana where we were staying is in the downtown area and within walking distance of the Minara (revolving restaurant on top of a pencil-thin tower), upscape malls, and the monorail station. We spend some time walking through the city and sat down at a streetside cafe for dinner. While I was going ga-ga about how modern KL looked, my wife was not as impressed. She thought the city looked a little artificial since we didn't see any of the 'real' people. All we saw in the downtown areas were the westernized youth of the city. 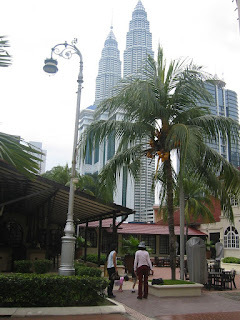 KL looked like any other Western city; the only thing we noticed that was distinctly Malaysian were the headscarves on the sales-girls who otherwise donned western clothes. The bell-boy wished us Namaste and asked us if we were here to meet Shah Rukh Khan! Apparently, SRK was shooting for Don in an adjoining hotel leading to much excitement in this part of the city. Before we left Malaysia we ended up seeing an IMax movie, took a city tour that included some museums, the Petronas Towers, and a govt. batik production facility. The strongest impression of Malaysia that I carried back was how green the country is. From the skies, as you drive and everywhere you look! I would love to come back and visit their forest the next time.